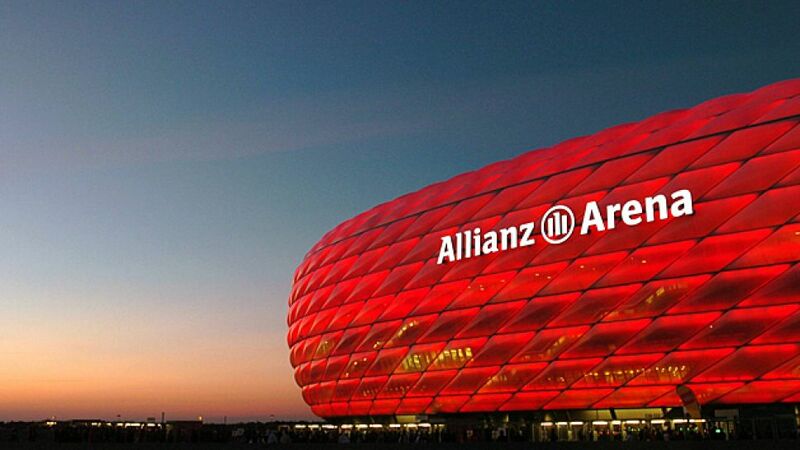 Munich - FC Bayern München’s €346 million Allianz Arena stadium has been fully paid off - nearly 16 years ahead of schedule. Executive board chairman Karl-Heinz Rummenigge confirmed in Bayern’s pre-match magazine ahead of Saturday’s Bundesliga clash at home to TSG 1899 Hoffenheim that the club had paid off the 71,137-capacity arena only nine and a half years after its construction. Construction work on the Allianz Arena began in 2002, with Bayern and local rivals TSV 1860 Munich - currently 15th in Bundesliga 2 - moving in three years later in May 2005. The venue boasts one of Europe’s biggest underground car parks and has become the envy of the continent in recent seasons. The stadium’s exterior, however, is what truly sets it apart from other football venues: 2,760 diamond-shaped cushions cover the the periphery of the arena, which can be illuminated in red, blue or white depending on whether Bayern, 1860 or the German national team are in action. The ground also played host to six matches during the 2006 FIFA World Cup, including Germany's 4-2 victory over Costa Rica in the opening game of the tournament.